SlumberCloud’s Dryline Mattress Protector is a high-quality mattress protector that feels luxurious the moment you lie down. It’s plush exterior regulates heat while staying 100% waterproof. The best part about this mattress protector is its comfort, and you will be hard pressed to find anything that maintains softness and temperature while waterproofing your mattress. However, the warranty on the SlumberCloud Mattress Protector is only 60 days, which is relatively short compared to others. It also does not offer the same allergy protection as other mattresses, and it is also fairly pricey at 139.99. That being said, if you are not worried about allergies and are looking to pay for premium comfort, SlumberCloud Dryline Mattress Protector is a good choice. The Sures Waterproof Mattress Protector is made from a cotton terry fabric which is waterproof and protects against allergens. This mattress protector is fairly comfortable, as it regulates heat with airflow technology, and will stay in its place without sliding throughout the night, though it is rather thin and does not provide extra cushion. The value on this mattress protector is great as it costs only 21.99, though it comes with a relatively short 60-day warranty. The biggest detraction from this mattress protector is that it is relatively thin, though from a value standpoint it will be hard to do better than Sures Waterproof Mattress Protector. Protect-A-Bed offers a high-quality, polyester mattress protector that will be the most comfortable sleeping experience for people who have a hard time regulating their temperature. This mattress protector is allergen-resistant, waterproof, and stain-resistant, and is very soft and comfortable. Although it fits on mattresses very easily and does not make a plastic crinkle noise, it can sometimes slip and move while you are sleeping. The Therm-A-Sleep Snow Protector fabric is aptly named “Nordic Chill” fabric by the company, and it places a premium on temperature regulation and keeping you cool during warm summer months. This high-quality mattress protector is not cheap however, as it costs 139.99, though it does come with a 10-year warranty. For consumers who are willing to pay for high-level comfort in warm climates, they will find a better mattress than Protect-A-Bed’s Therm-A-Sleep Snow Protector. Lucid’s mattress protector is made of Cotton Terry fabric which is 100% waterproof, allergen-resistant, and does not make noise while you sleep. The mattress protector has deep elastic sides which fit easily on any mattress and keep it snug and in place throughout the night. It is also a great value, as it costs only 20.99 and offers a 15-year warranty to boot. 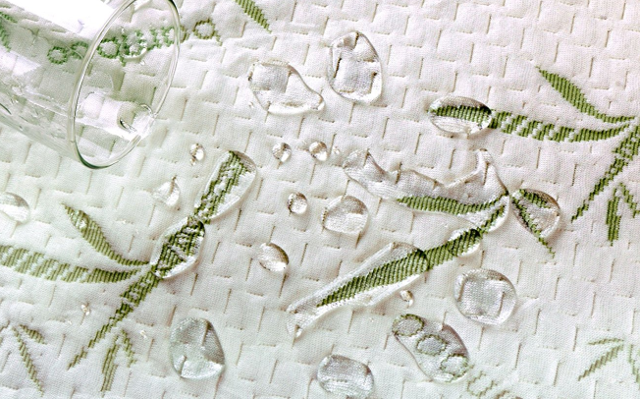 The downsides of this mattress protector is that the waterproof material does not extend to the sides, only protecting the top of your mattress, and the cotton material holds heat and is not super breathable. 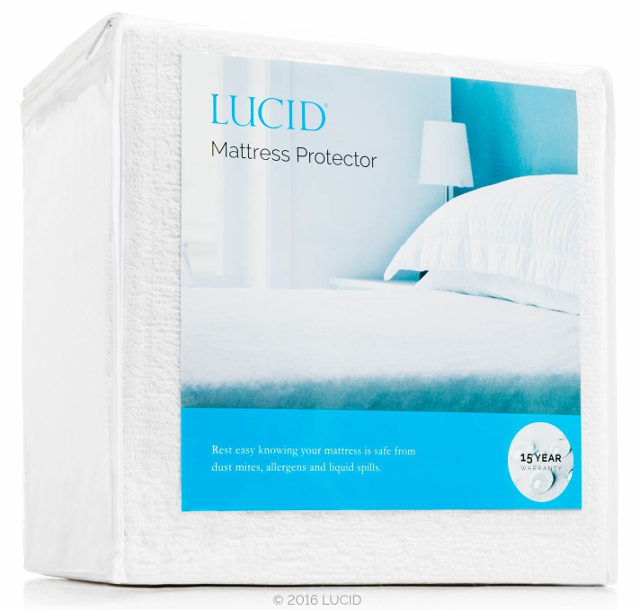 However, at it’s price point, the Lucid Premium Waterproof Mattress Protector is a great value that is up to the task. Utopia offers a mattress protector that is made from a blend of polyester and viscose rayon that is derived from bamboo. The bamboo properties make the mattress protector especially good at absorbing moisture and protecting your mattress from liquid and humidity. The mattress protector is allergen-resistant and 100% waterproof while maintaining a great level of breathability, which will keep you cool on warm nights. One detraction from this mattress cover is that it can slide around and cause your sheets to bunch up during the night, which can be a problem for restless sleepers. 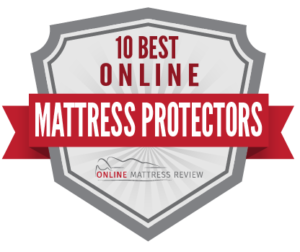 At 16.99, this is the most affordable mattress protector on this list, however it does not come with a warranty, so you will have to communicate with the company if you have any problems. 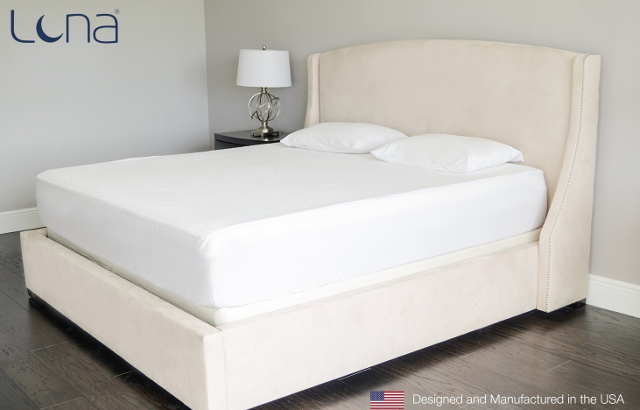 For consumers looking for a great value on an all-around solid mattress protector, look no further than Utopia Bedding’s Waterproof Bamboo Mattress Protector. 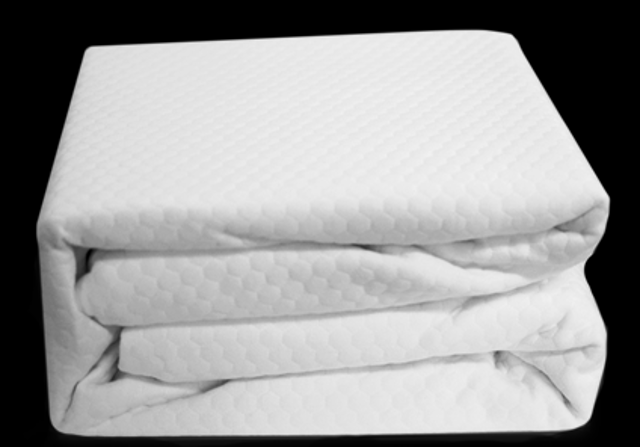 Bear offers a mattress protector that is made of HeiQ Adaptive Fabric, and is unmatched in providing protection against moisture and allergens. In addition, the mattress protector is quite soft and adds a layer of comfort to your mattress. One drawback to this mattress protector is that it will make a plastic crinkle sound while it is new, though after it has been used for a while, this sound goes away. The mattress is not the most temperature-regulating, and can get hot while sleeping during the summer. The mattress protector is also fairly price at $110, though it comes with a 10-year warranty. This mattress protector is meant for people with pets or toddlers who are prone to making a mess, or people who live in places with a high level of air born irritants, as it is unmatched in pure mattress protection. For people who have a hard time keeping their mattress safe, the Bear Mattress Protector is one of the best at protecting mattresses. LinenSpa’s Zippered Breathable Mattress Protector is made of polyester and provides ample protection from liquid, moisture, and allergens. It fully encloses your mattress with its zippered opening, but still maintains a great level of breathability and temperature control. The fabric is very lightweight and quiet, though it does not add any amount of cushion, and it is not incredibly durable. You should handle this mattress cover with care, though it does come with a 10-year warranty, and costs only $32.99, so it is not the end of the world if it rips. 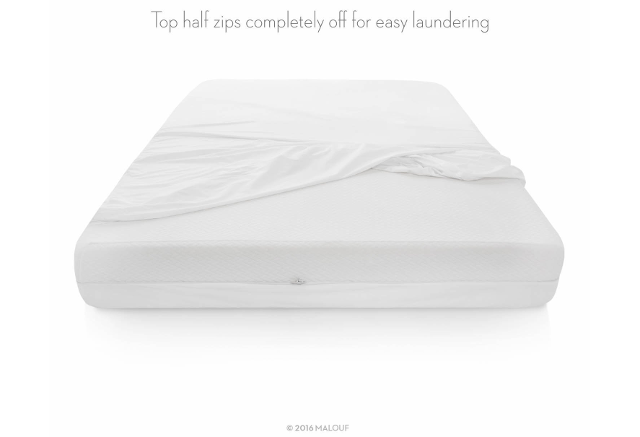 For people looking for a mattress protector that completely encloses their mattress from liquid and allergens, and will keep them cool in the summer, Linenspa’s Zippered Breathable Mattress Protector is a great value. Sleep Tite offers a premium polyester mattress protector that has been lab-certified to prevent bed bugs from entering your mattress. The mattress protector encases your whole mattress, and seals with a zipper. In addition to bed begs, the mattress protector keeps out liquid, allergens, and dust mites without using plastic material that causes crinkle noises. It also maintains a high level of comfort, with temperature regulation that will keep you from overheating in the summer. The one downside reported by some users is that it can be difficult to fit on to your mattress because of the tight seal. The mattress is also more expensive than most at $134.99, though it comes with a 15-year warranty. For consumers who are worried about bed bugs, but do not want to compromise any level of comfort, Sleep Tite’s Lab-Certified Mattress Encasement Protector is a safe choice. 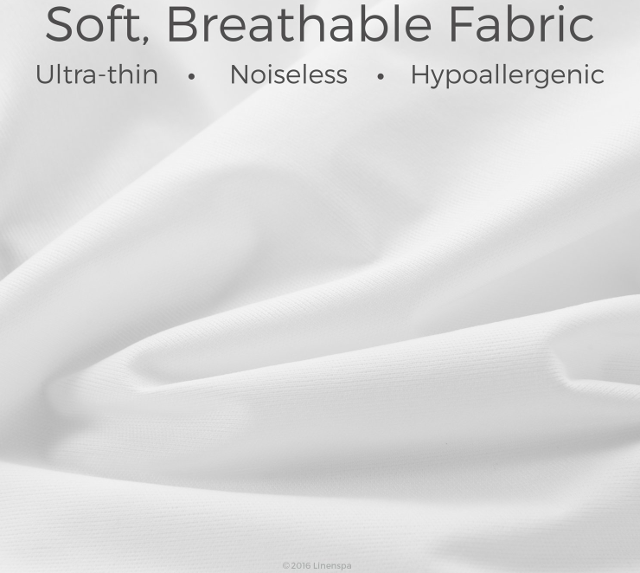 Luna’s Hypoallergenic Waterproof Mattress Protector is made from cotton terry fabric that is comfortable, breathable, and flexible enough to fit on any type of mattress. 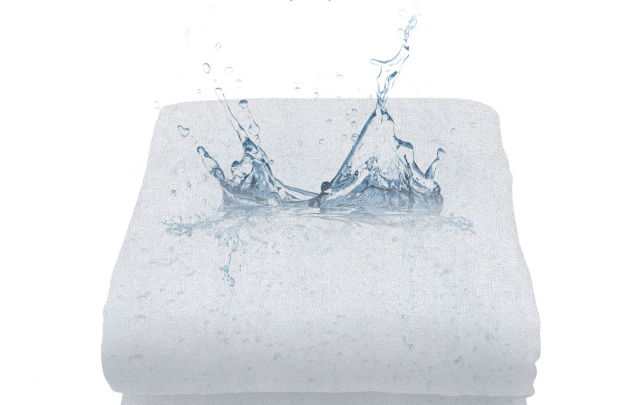 The mattress protector is both waterproof and hypoallergenic, allowing people who suffer from asthma, eczema, and allergies to rest peacefully. One downside is that it is not completely silent to sleep on, though that should get better as it gets broken in. Though it is a high-end mattress protector, it is still pretty affordable at 49.95, and it comes with a 15-year warranty. For consumers who are worried about potential health problems while they are sleeping, Luna’s Hypoallergenic Waterproof Mattress Protector is a great value. 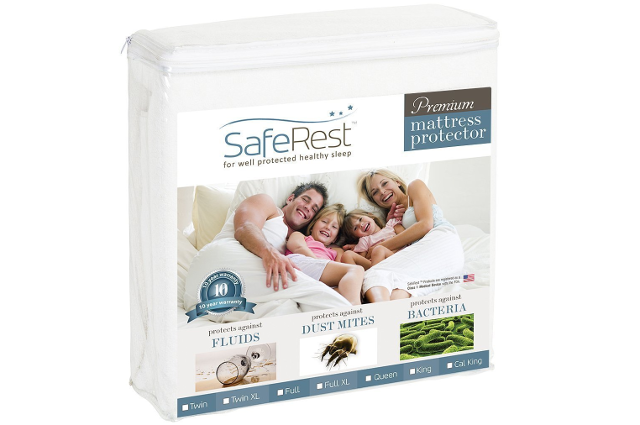 SafeRest offers a popular mattress protector that is made from cotton terry fabric that is breathable and noiseless. 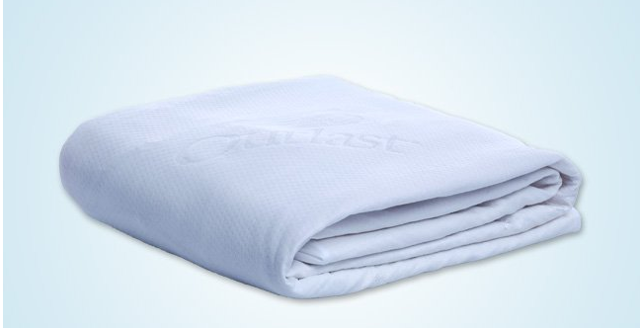 The material is 100% waterproof and prevents allergens and dust mites from getting into your mattress. One drawback is that it can become warm to sleep on in summer months, but that is common to most mattress protectors because of their waterproof layer. This mattress protector provides everything that you would expect from a premium mattress protector, though it comes at a great price of $24.95, and comes with a 10-year warranty. For consumers looking for a great value, SafeRest’s Premium Hypoallergenic Waterproof Mattress Protector is a top-of-the-line product that will give you the best bang for your buck.